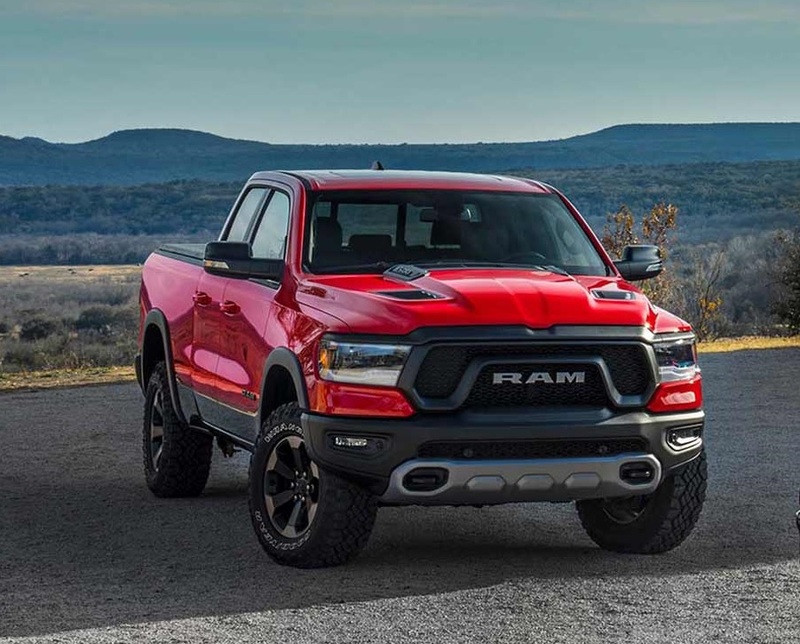 If you are in the market for a new pickup truck, our team at Melloy Ram suggests the 2019 Ram 1500. The new 1500 comes in a number of trims that include the Limited, Longhorn, Rebel, Laramie, Bighorn, and Tradesman. Each trim offers a variety of features that provide drivers many benefits. Serving Santa Fe New Mexico, Melloy RA has the 2019 Ram 1500 near Santa Fe available for test drives. The exterior comes with a sculpted hood, sleek headlamps, a contemporary grille design, and an active grille shutters. The sculpted exterior and active grille shutters give the exterior the lowest frontal drag coefficient in its class. The aluminum tailgate comes with an integrated spoiler and a new truck badge with geometric shapes. You can choose the available class-exclusive RamBox Cargo Management System that comes with two lockable, drainable storage units that feature LED lighting. This system also comes with a 115-volt power outlet and remote access with the key fob. The 1500 offers available power side running boards for easy access, and the available oil- and nitrogen-charged dampened tailgate can be easily lifted and lowered even in the coldest weather. The Ram 1500 comes with 16 wheel designs to choose from that feature 18-inch to 22-inch aluminum wheels. The interior of the new 1500 offers a plethora of features that provide drivers with luxury, comfort, and entertainment. 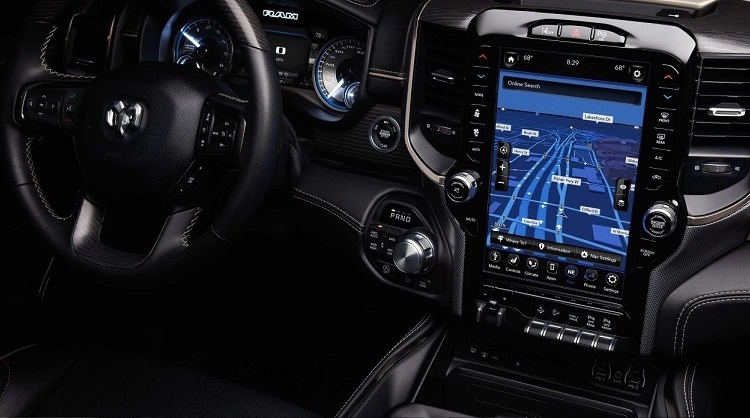 The cabin features the Uconnect 4C NAV system that comes with a 12-inch touchscreen, which is the largest in its class. The touchscreen has split-screen capability, and the full-screen navigation helps you easily get to your destination. The 1500 also comes with an available 7-inch Driver Information Cluster Display that offers 3D graphics. The 1500 comes with an available 900-watt Harman Kardon Premium Audio System. This audio system features 19 speakers, which is the most in its class, and a stainless steel speaker grille. There is an available dual-pane panoramic sunroof that provides you and your passengers with plenty of fresh air. Your passengers get a number of class-exclusive features like a rear seat fold-down center console, 45.1 inches of legroom, which is best-in-class, available reclining rear seats, and a rear seat fold-down center console. There is also a rear flat-load floor that provides you with additional cargo storage. To get a look at the interior of the 2019 Ram 1500, visit Melloy RA serving Santa Fe New Mexico. The new 1500 has an available class-exclusive Active-Level Four Corner Air Suspension that automatically lowers the truck at high speeds for less drag and improved efficiency. There is also an available eTorque mild hybrid system that takes the place of the traditional alternator and comes with a 48-volt battery-powered motor generator that enhances performance, efficiency, towing capabilities, payload, and drivability. The transmission that comes with the 1500 is an eight-speed automatic 850RE transmission or an eight-speed automatic 8HP75 transmission. There are three engines available with the 1500. The 5.7L HEMI V8 engine can tow up to 11,610 pounds. This engine can produce up to 395 horsepower and 410 lb.-ft. of torque. The 5.7L V8 engine with eTorque can tow up to 12,750 pounds, which is best-in-class V8 towing. The 3.6L Pentastar V6 engine can reach up to 305 horsepower and 269 lb.-ft. of torque. This engine has a maximum towing capacity of 7,730 pounds. The new 1500 comes with more than 100 standard and available safety features. Lane Departure Warning-Plus helps to prevent unintentional lane drift. If this system detects unintentional lane drift, it will provide the driver with a visual and audible alert. Adaptive Cruise Control with Stop and Go will monitor for vehicles ahead. In slower traffic, this system will increase braking when necessary. The Forward Collision with Advanced Brake System will detect for possible frontal collisions and can apply the emergency brakes if needed. Blind Spot Monitoring with Rear Cross Path and Trailer Detection can detect for vehicles that enter your blind spot zones. When a vehicle is detected in the truck's blind spot, the driver will be provided with an alert. The Ram 1500 also comes with an available 360° surround view camera that provides you with assistance during parking, unloading, and loading. The Ram 1500 comes equipped with six standard airbags that offer superior protection. To find out further information about the safety features of the 2019 RAM 1500 near Santa Fe, stop by Melloy Ram. 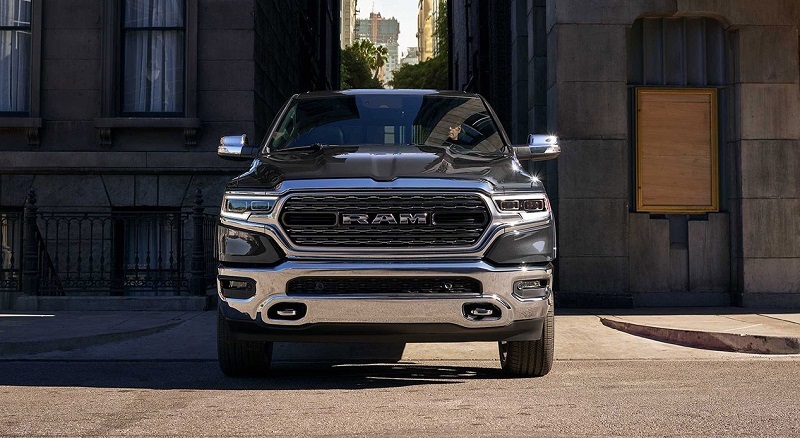 Now that you have an understanding of what the 2019 Ram 1500 has to offer, are you ready to take it for a test spin? If so, we welcome you to visit us at Melloy Ram serving Santa Fe New Mexico. This truck was engineered to provide consumers with durability, performance, and power. At Melloy RA, we are confident that consumers looking for the 2019 Ram 1500 near Santa Fe will be pleased with all the features that come with this outstanding pickup truck.